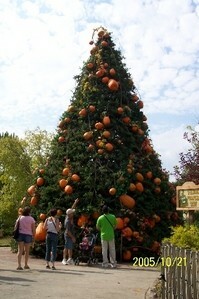 The first really unique “holiday tree” idea I came across was the upside down Christmas tree. 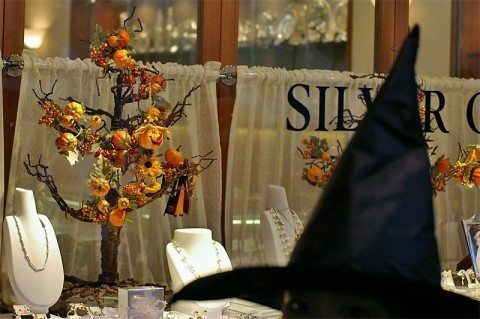 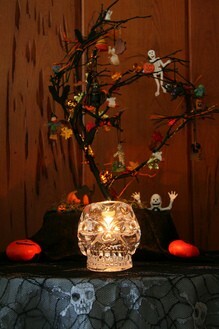 Now, Halloween trees appear to be increasing in popularity. 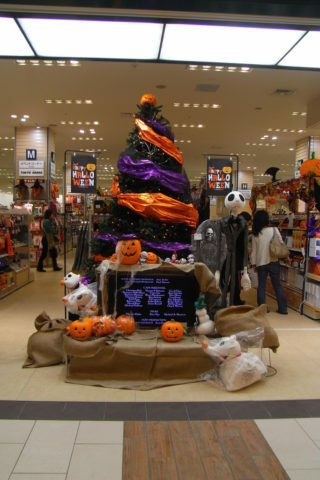 There are indoor Halloween trees. 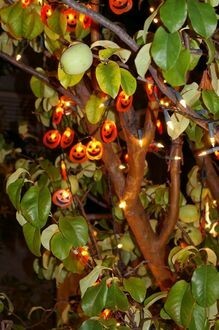 And there are outdoor Halloween trees. 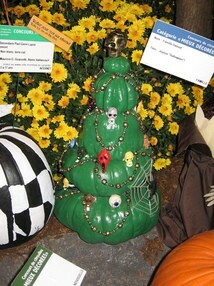 Most are simply an adaptation of the ever-popular Christmas tree. The only difference is the fact that Halloween trees are decorated with Halloween ornaments instead of Christmas ornaments. 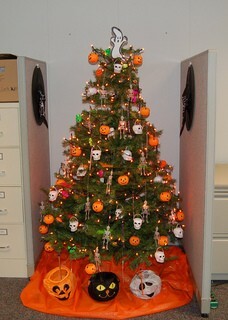 And with the outdoor Halloween trees, the ornaments are life-size! 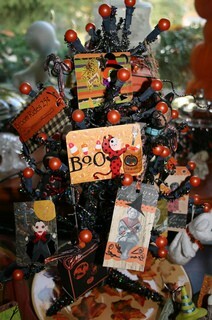 Others choose to create Halloween trees that are very different from Christmas trees in every way. 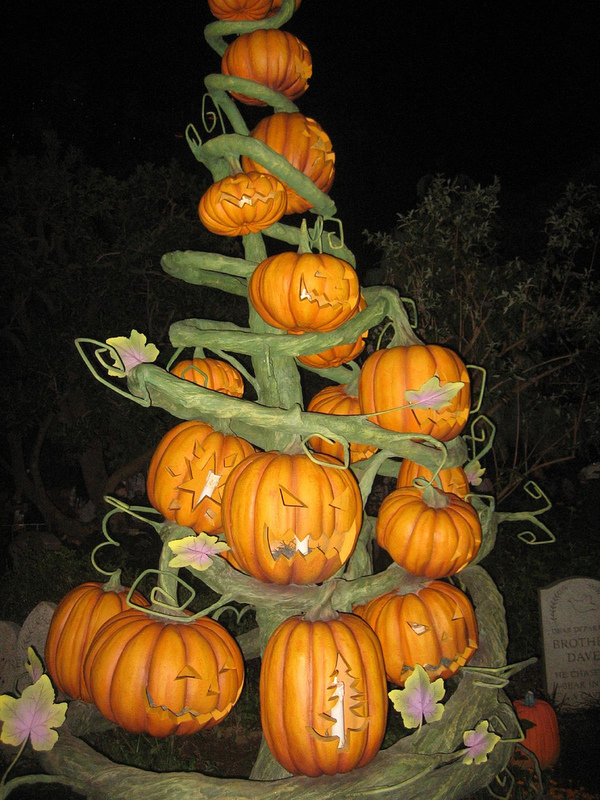 For example, their shape may only loosely resemble the traditional Christmas tree. 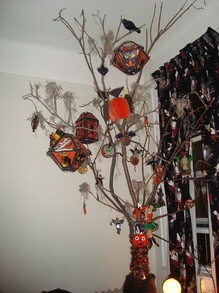 Perhaps the easiest option is to make a Halloween tree using branches from your own backyard! 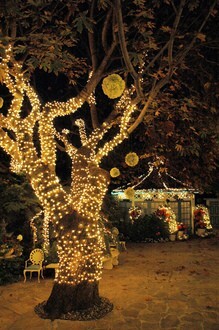 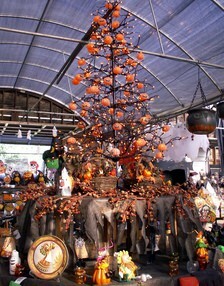 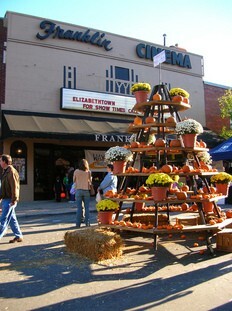 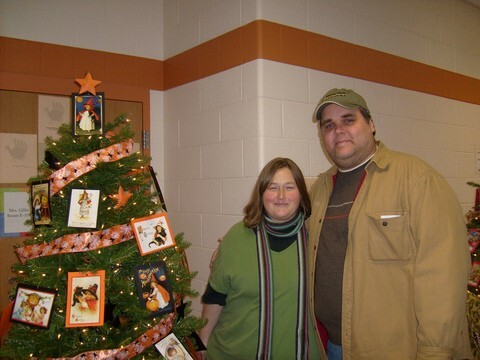 Still others simply decorate a tree-shaped frame with black and orange colored Halloween lights. 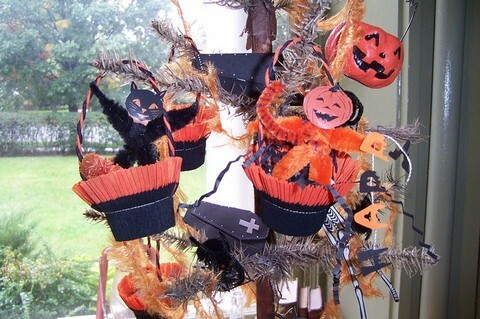 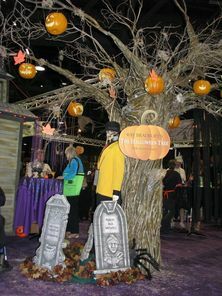 Following are lots of fun ways to create and decorate Halloween trees. Hopefully, the following photos and videos will get your creative juices flowing and give you some ideas for decorating your own Halloween tree this year! 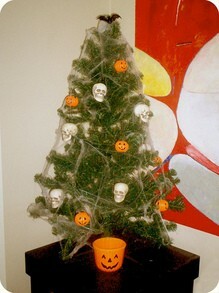 Most Halloween trees that are used indoors tend to look similar — and are decorated similarly — to Christmas trees. 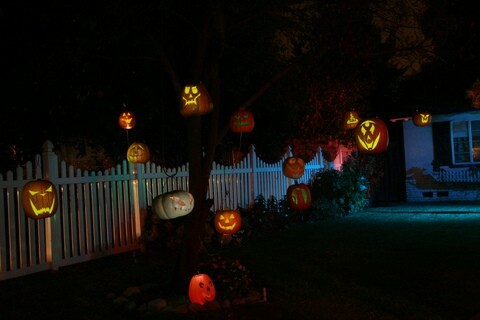 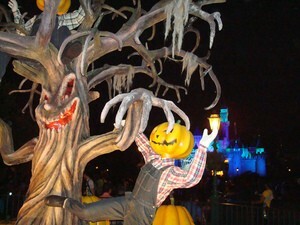 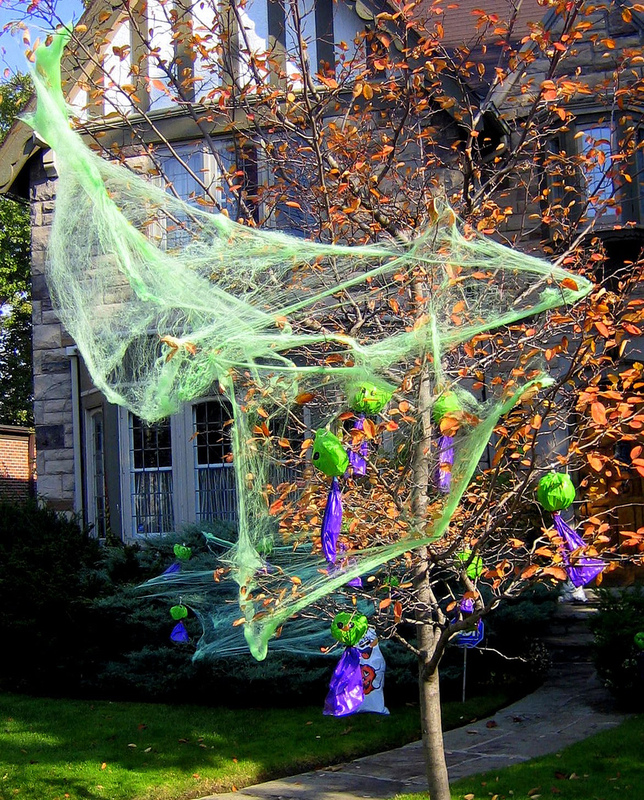 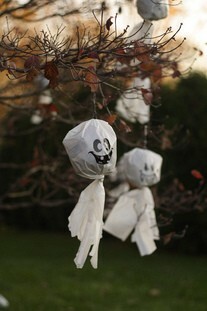 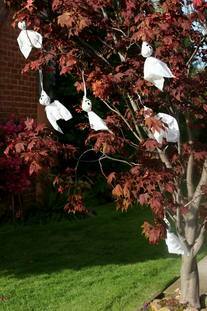 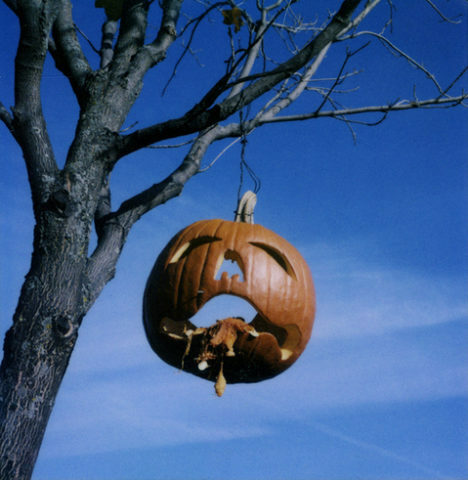 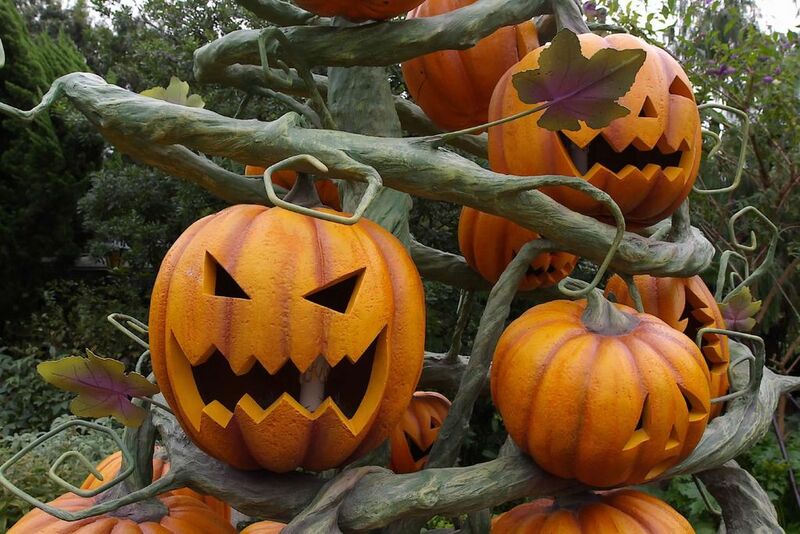 Of course, there are lots of other fun ways to decorate your outdoor trees for Halloween. 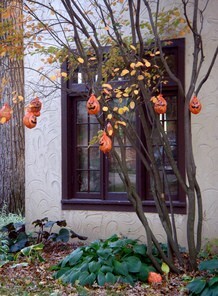 The most common is to add some tree faces to some of the trees in your yard. 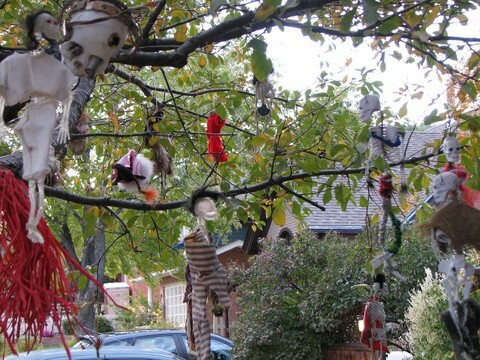 Other people like to make talking trees by putting speaker boxes behind trees. That way, you can scare visitors when they arrive while trick-or-treating!